I love functional crochet projects! 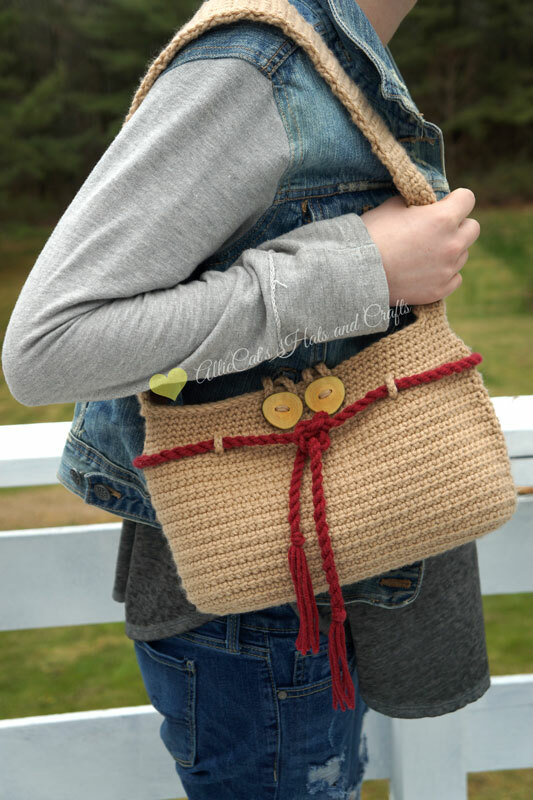 This adorable free crochet purse pattern is all about the functionality. Make it in any color, to match any outfit, and you have an adorable handbag at the ready! 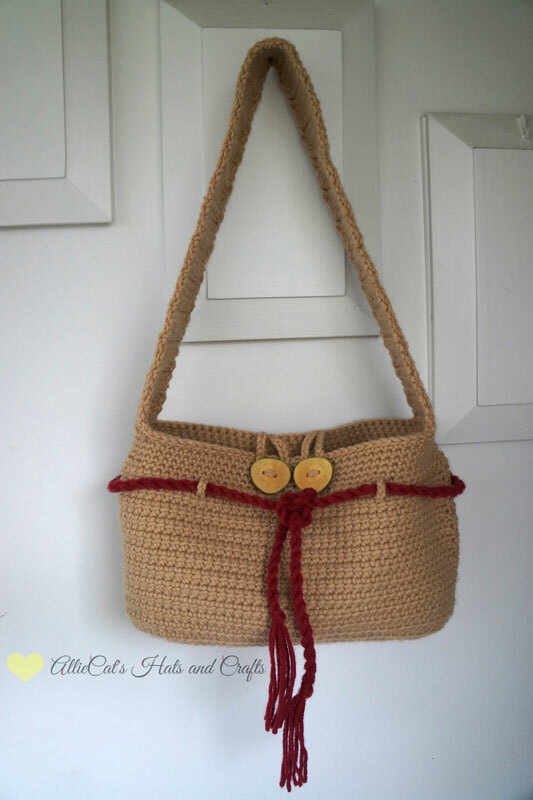 Thank you to RaeLynn Orff of AllieCat’s Hats and Crafts for contributing this adorable free purse crochet pattern as part of my Guest Contributor Program! 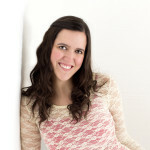 RaeLynn is the designer behind AllieCat’s Hats and Crafts and has been crocheting for about 5 years. 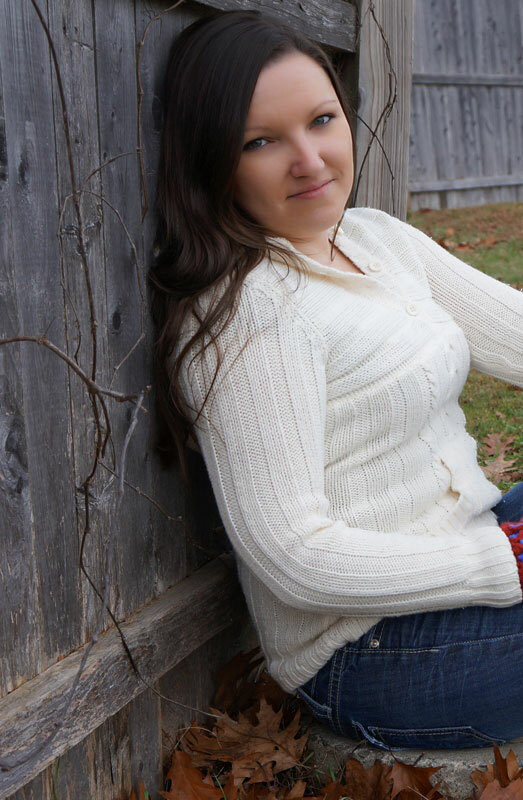 She published her first crochet pattern in 2013 and has been designing ever since. RaeLynn is a proud mother of a 15 year old daughter, who inspires many of her creations. She looks forward to designing many more crochet patterns in the future and hopes to inspire others the way many have inspired her. Check out her website by clicking here. Join her newsletter list by clicking here. I would like to make this pattern in various colors !!!! I want to try making this up in the Omega nylon yarn. I think this would enhance your design my making the bag a little stiffer and sturdier than yarn and would wipe clean. Thank you for being so generous with your talent for design!! Enjoy it Penny! RaeLynn did a wonderful job. I have done everything it asked me to do to get the pattern, but when I click on it in the Ravelry store it brings me back to this post. Am I missing something? Make sure you read carefully. It sounds like you’re clicking on the wrong link 🙂 The download link is at the very bottom of the post. Thank you both RaeLynn and Melody for the wonderful pattern. It’s so cute! A great gift for someone or for yourself. Looking forward to making this. Thank you so much for sharing your talents. Love this pattern. Am thinking about felting this! Also had some confusion also. Added it to my Ravelry library, but it doesn’t actually put the pattern in there. When I go to the library and click on the pattern, it just returns me to the page. Thanks for the great idea…I have a bit of Omega just waiting for the right pattern. This just might be it! Thanks for the lovely pattern! A great gift idea. I have the PERFECT yarn in my stash for this. Thank you so much. Me too! On RaeLynn Orff’s page in Ravelry, it’s also shown in a stripe. It looks so smart in the black and white. I could also see how you could make it navy and white and with the knot it could look very sailor-ish (not exactly the right word but you get it!). Looks like a great pattern, can’t wait to get started on it. Thank you for sharing.